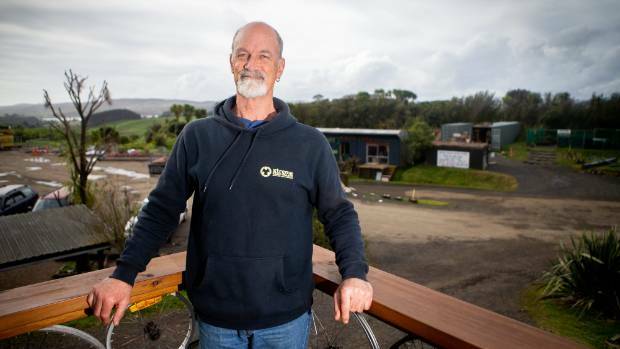 The small seaside community of Raglan may well have a blueprint for how New Zealand can reduce its ever-growing pile of rubbish. That blueprint took nearly two decades of work to get its 3200 residents fully on board with reducing their waste. At its centre is Xtreme Zero Waste, the community enterprise that has grown from employing one person part time from its inception 18 years ago to being Raglan's third-largest employer, employing 30 people and returning $1.2 millon to the local economy. 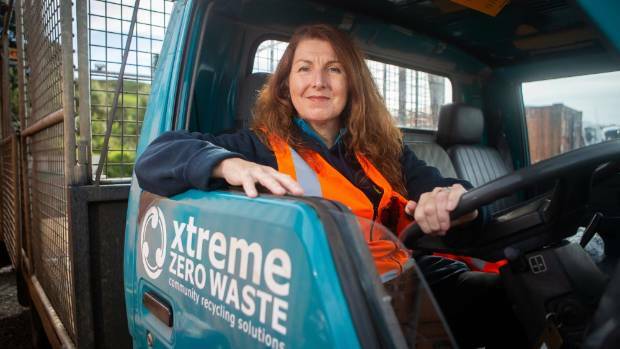 The organisation's new chief entrepreneurial officer, Cheryl Reynolds, is sure what Xtreme Zero Waste has done could be copied elsewhere in New Zealand. Xtreme Zero Waste's new chief entrepreneurial officer, Cheryl Reynolds, wants to solidify what the organisation has achieved so far and expand it. She says there is a growing national awareness of waste and people are generally looking for solutions. "The way that we have been behaving has not been in our control. We want to get control of it and start looking after our land and our people and make better use of our resources." Long-time employee Rick Thorpe remembers the early naysayers. "Then when we showed them that it could be done, they said, yes, but only in Raglan, only in the rural centres." Thorpe says he and fellow employees have challenged cities to follow their lead. Recently, Auckland developed a waste minimisation plan which aims to have zero waste by 2050. 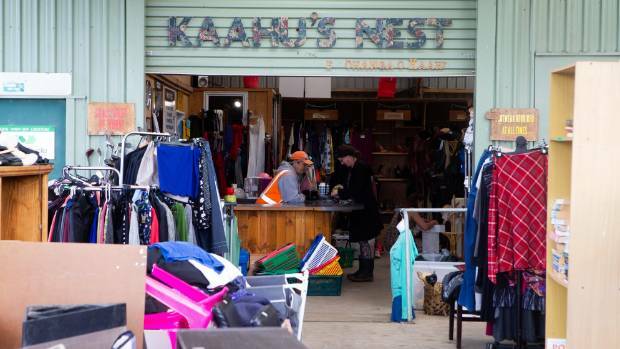 Xtreme Zero Waste operates a large second-hand shop onsite. Key to this plan is allowing communities control over where their waste goes. 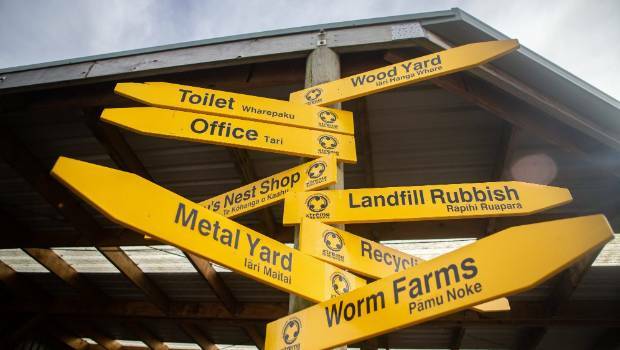 The Raglan model has already been replicated in Waiuku, South Auckland, as part of the council's desire to set up 12 community resource recovery centres. "What took Rick and the team 18 years to create here in Raglan, it's taken 18 months to replicate in Waiuku," Reynolds says. Xtreme Zero Waste's site just outside the township resembles a wee town itself. There are areas devoted to recycling every conceivable item including plastic, metal, glass, food waste, e-waste, wood and metal. Everything is sorted. Xtreme Zero Waste resembles a mini town where areas are set aside for collecting and sorting every conceivable type of waste. Upon separation, plastic gets baled to reduce volume and then transported to an agent in Auckland. From there it goes to a variety of markets within New Zealand and offshore. Light-proof milk bottles, for example, are used to create irrigation piping. Other coloured bottles are used for insulation. Cling film and silage wrap are exported. "Due to our product being hand-sorted, we have a greater range of markets than most recyclers due to its quality," Thorpe says. In the middle of the site is a large and busy second-hand shop and across the drive facing the ocean is a wood shop where discarded wooden furniture is repurposed. The venture's roots wind back some 20 years, when Raglan's landfill closed and locals had to find a long-term alternative for their waste. When Xtreme Zero Waste was created, the community insisted it adopt the quadruple bottom line of social, cultural, environmental and economic goals. This helped get community backing. There was also a big push from older residents, who had learned to be thrifty and reuse everyday items during lean economic times. Rick Thorpe has been with Xtreme Zero Waste since the beginning. "For them, paying for their rates with two bags of waste regardless of whether we use it or not, they were the ones that were subsidising this wasteful society," Thorpe says. "There was a feeling among the community that we were the ones who were producing the waste and we needed to step up and take responsibility for it." Raglan now has 75 per cent of all its waste being diverted from landfills, which Reynolds calls "country leading". Thorpe says that equates to 6800 truckloads of waste being diverted, with each truck holding around 30 cubic meters. "In total, it's around 217,368 cubic meters." That's the equivalent of 87 Olympic-sized swimming pools. The town was also leading the way on being free of single-use plastic bags. Some 95 per cent of the town's businesses support the goal. "We are pushing out on plastic-free Raglan and that's moving towards having no plastic food containers, straws, coffee cups. And our community is embracing that." It has also led to behavioural change among businesses that supply Raglan with plastic bags. These businesses had switched to offering local businesses with bags made from starch. Xtreme Zero Waste set up its facility to collect and separate cans, cardboard, plastic, glass and metal. Xtreme Zero Waste has also introduced a food waste collection service not quite a year ago that Reynold believes is the first in the country. Food waste is collected from homes and put into a composting unit. The end product is sold back to the community. It has produced 120 tonnes of compost over the past 11 months. 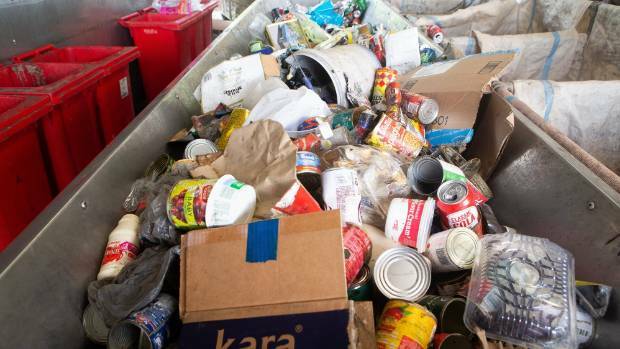 Tackling Raglan's remaining 25 per cent of waste was challenging. One solution was lifting the return people received for recycling glass or plastic bottles. "You immediately go from a country that is recycling about 40 per cent across the nation to 85 to 90 per cent," Thorpe says. It would give bottle-making companies access to high-quality glass or plastic for recycling rather than having to produce it new. Greater product stewardship is also needed for e-waste. When a television is bought, part of its purchasing cost should include its disposal. Thorpe is pleased this was included in the Government's new waste-minimisation legislation. The levies for taking waste to landfills also need to be increased, he said. "For every tonne of waste that goes to the landfill, we as an organisation pay $10 a tonne as a levy. But in many other countries in the world, it's $150 a tonne, so it becomes a behaviour changer. "Container deposit legislation, product stewardship and increasing waste levies are the things that will get us to crank that last 25 per cent." Reynolds says Xtreme Zero Waste's founders deserve credit for their foresight 18 years ago and what they have created might just help change the world. "They were ahead of the curve, but that curve is growing. There is this wave now of everyone realising that our oceans are full of plastic, our air is full of poisons, our water is full of pollutants and there is a sea change that isn't going to stop." Which countries are leading the world in recycling rates? According to a report compiled by environmental consultancy group Eunomia, Germany is No.1, followed by Austria, South Korea, Wales and Switzerland. Where New Zealand sits internationally is hard to determine. According to the Ministry for the Environment, New Zealand sends around 2.5 million tonnes of waste to landfill, or over a tonne of rubbish per household. The majority of this waste is not reprocessed or recycled, and doesn't break down over time.